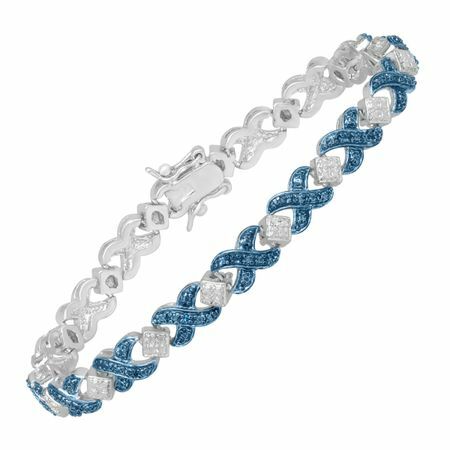 Diamond bracelets get a stylish update when rendered in blue! April's birthstone, seen here in blue, is set in sterling silver over brass. Piece measures 7 1/4 inches in length and features a double safety clasp.